Tuesday morning, 11:00am; still no power at home; I am off from work for the day and at Foxboro Cable Access – command central for FCA-TV, grateful to my friends here to let me borrow a computer for an hour. I wanted to get these words out for this post-Sandy edition. Along with most of the town, I lost electricity on Monday around 3:45pm . Much of the town is still in the “in the dark” at this writing with power being slowly restored. But that is NOT why I am writing today. No matter what happens between now and when this goes to print, National Grid will be in many people’s (and elected official’s and governing board’s) crosshairs. The National Grid response will be evaluated and investigated for some time. Given the response (or complete lack of it) TWICE last year by National Grid, that scrutiny is justified, and people demand it. But I write this morning to suggest to everyone in Foxboro and surrounding towns to take a few moments today and consider how LUCKY we are. I drove around town this morning and it looks like we have some downed small branches here and there, but no smashed houses, no smashed cars, no blocked streets, no weeks of cleanup ahead, no injuries that I have heard of – in short, it looks like this entire region dodged a HUGE bullet that was aimed right at us. Reports in from New York, New Jersey and other states speak of massive destruction on the billion-dollar scale, rows of houses wiped out, entire cities shut down and (at this writing) over 60 people dead. 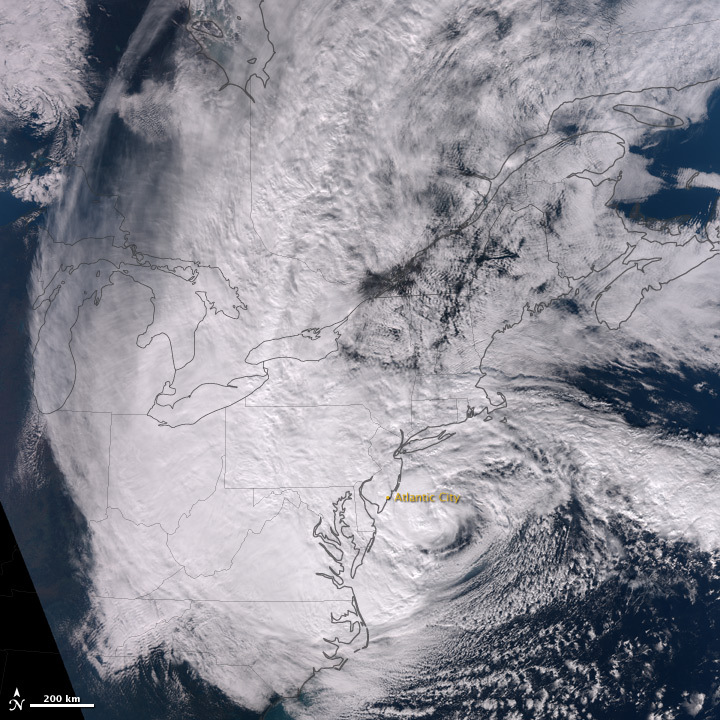 The damage will takes weeks to assess.Sandy had been projected for weeks as a storm of historic scope, a confluence of the original hurricane, another storm, and a another weather system coming together into the worse recipe imaginable to create a “super storm” unlike anything EVER seen before. This time, the 24/7 news was warranted; we should not undermine anyone’s preparations or media hype just because we were spared — Folks here in town have probably seen worse thunderstorms, and the wind wasn’t too bad. In fact, working from home Monday, I kept thinking that had I not known a hurricane was coming, I might not have really paid much attention to the outside weather. In New York, the subway is flooded and the city is crippled. Parts of New Jersey’s coast are gone. Many states will be cleaning up for weeks or months, trying to restore infrastructure and order and work with people to get power restored, and start rebuilding. The aftermath will be a living hell to the homeless, displaced, and victims of Hurricane Sandy for months. Please pray for them, and when the opportunities present themselves to help financially, or to send relief supplies, or to give blood if needed, please do so. I am in no way undermining the significance of the power outage in Foxboro, and we all know that if power is out for days there will angry Foxboroians storming town hall and National Grid offices with torches and pitchforks – this writer among them. But before we get too crazy, or reflectively relive last year’s double weeklong outages, let’s all take a breath and remember two things: SOME power outages WERE expected. Trees will fall, lines will come down. This is expected. And at this writing, the outages are being dealt with (I keep hearing reports of more and more streets being restored). More importantly, damage and loss of life in this region is minimal. If could have been so, so much worse. It could have been catastrophic. Much of this region dodged a bullet named Sandy. Let’s all take a breath and be grateful for Mother Nature sparing us the worst of it – tens of thousands of people have lost everything. Help them if you can, and let’s all put things in perspective – we were very, very lucky.